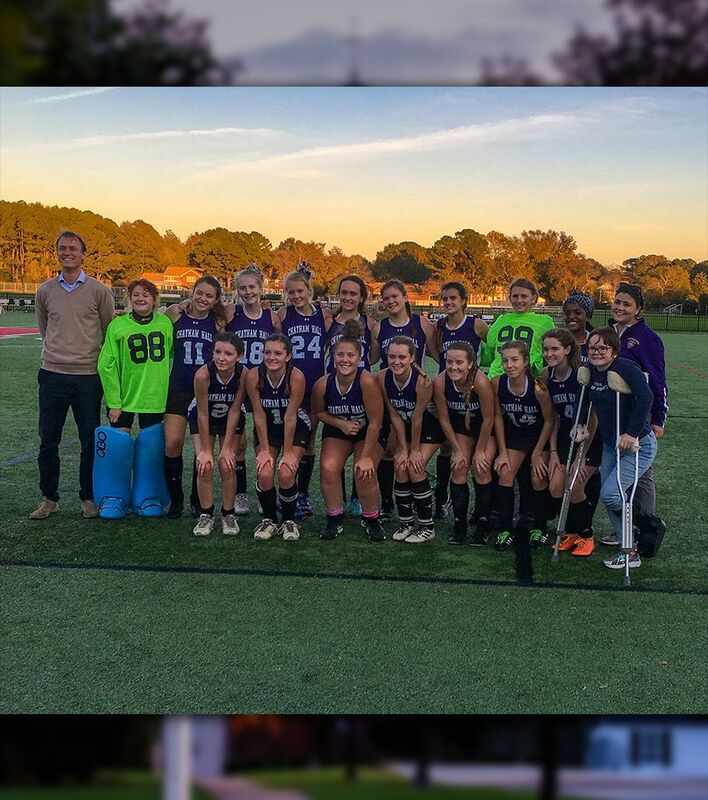 It was an exciting fall at Chatham Hall, with teams receiving awards at for their efforts and the first field hockey team to make it to the state tournament in twenty years. The Blue Ridge Conference (BRC) recognizes outstanding play across both the regular season and post-season tournaments, and many Chatham Hall athletes were included on the all-conference and all-tournament teams. The Field Hockey team had a red-letter season capped off with an invitation to the State Tournament, the first time the team has been in twelve years. Led by coach Friso Kuiper, Chatham Hall’s field hockey team earned regular weekly rankings in the state during the regular season, climbing as high as sixth, and went into the state tournament ranked third in the BRC. The team’s 7-5 record during the regular season earned them an 8 seed in the state tournament. On Wednesday, November 7, the team traveled to Virginia Beach to face the number one seed, Cape Henry Collegiate, for the first round of the tournament. The day ended with a disappointing 5-0 loss, yet spirits remained high as the team reflected on their outstanding and historic season. Additionally, three of the fall sports teams had members recognized for their individual performances. On the tennis team, Christine Leak ’22 was named to both the All-Tournament team as well as Second Team All-Conference. Junior Vanessa RenHan was named to the All-Conference team thanks to her ninth-place finish at the BRC race. In addition to the groundbreaking success that the field hockey team saw this season, several team members received individual recognition for their performance on the field. Cheney Knight ’19 and Sarah Miller-Richards ’20 were both named to the All-Tournament team, with Miller-Richards also being named first-team All-State. Earning Honorable Mention for the field hockey team were Marian Moreno Nieto ’21, Louise Strawn ’21, Delali Som-Pimpong ’19, and Virginia Roberts ’19.